At the Killino Firm, we know birth injuries. Having a child is one of the most special events in a person’s life, and we understand the devastation, shock and disbelief associated with birth injuries, especially when they could have been prevented. 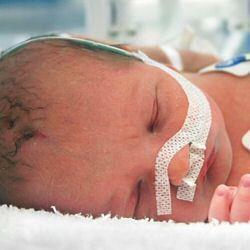 In one instance, a birth injury can change a family’s life forever. At the Killino Firm, we fight aggressively on behalf of parents whose children are harmed by a mistake made during the birthing process while, at the same time, offering compassion and personalized care to the family. At the Killino Firm, our true mission and accomplishment is promoting safety, nationwide. We have been recognized, nationally, for our efforts. 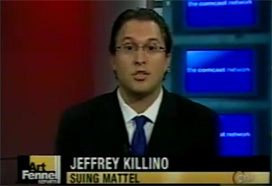 Please view the Killino Firm in the news. Sadly, birth injuries occur every day in hospitals throughout the U.S. Of course, in some instances, birth injuries occur naturally during the birthing process and have no way of being prevented. In other cases, however, a medical mistake made before, during or after birth can result in a severe injury to the child. If any form of negligence attributed to the injury, parents will likely be compensated for their losses and suffering. Birth injuries can range from temporary to permanent and mild to severe; but, no matter what the circumstances, the attorneys at the Killino Firm will handle your case with personalized care and attention. Birth injuries, no matter how severe, have an emotional affect on the parents and the family. At the Killino Firm, we understand the importance of providing personal attention and commitment to the families of those injured at birth. We dig deep and will do whatever it takes to recover the maximum compensation available. Recoverable compensation includes physical, emotional and financial damages. If your child was injured or killed at birth and you suspect medical negligence, contact our lawyers for help today. We will investigate all the details of your birth injury and will work tirelessly to make sure every responsible party is held accountable. Call today at 877-875-2927 and experience the Killino Firm Difference.